It wasn’t too long ago that hybrid cloud was the go-to strategy for enterprises, garnering the attention of CIOs and CTOs around the world. And it’s clearly here to stay. Analyst firm 451 Research estimates that 69% of enterprises will be running hybrid IT environments by 2019, while Gartner predicts that 90% of organisations will adopt hybrid infrastructure management capabilities by 2020. But the world of cloud is changing. In recent months, hybrid cloud has been overtaken by its close relative ‘multi-cloud’, with 79% of businesses already admitting to working with more than one cloud provider. For those who are prepared to embrace a mix of providers across both public and private platforms, multi-cloud is now widely considered to be the future of cloud computing. This flexibility means businesses can separate different workloads into different environments depending on their specific requirements. It also opens up new opportunities for innovation, such as enabling organisations to ‘fail fast’ and rapidly roll out new services to customers. From both a business agility and cost-efficiency point of view, achieving a balance of public and private cloud options in a multi-cloud setup is proving to be a winning tactic. However, there are still some factors to consider. Perhaps the most obvious reason for any hesitation around multi-cloud adoption is that deploying cloud platforms and services from multiple vendors can be seen as a rather complex process, especially when it comes to efficiently weaving multiple different clouds together in a way that doesn’t hinder productivity or innovation. The inherent technical challenges of managing several different platforms in a multi-cloud deployment – such as understanding exactly where data resides and having to integrate legacy systems with new platforms – have the potential to cause difficulties. They can also amplify already-existing business pressures, most notably responding to customer demands for service and innovation. This is especially true for those organisations that either lack the in-house skills, or fail to find a partner that has the capabilities required to manage such a transformation. This is something many businesses have quickly realised as they have continued along their deployment journeys. Indeed, issues around technical and skills challenges were identified as critical learnings from managing multiple clouds by more than half (57%) of senior IT leaders in a recent study. This should come as no surprise. The skills gap has been an extremely prevalent issue in the cloud world for some time, with many businesses either lacking the budget to meet the substantial salaries that people with cloud skill sets now command, or simply unable to find people with the required level of technical expertise. This highlights the importance of finding the right partners so that businesses can hand off the most complicated jobs to a team of experts. Historically, cost has also been an inhibitor. Many businesses have previously shied away from true multi-cloud deployments by favouring public infrastructures due to the perceived expense of private platforms. However, recent technological developments that enable businesses to take a highly-automated approach have shown that this is now an outdated view of cloud infrastructure. Those businesses that have relied purely on public services are now finding themselves faced with spiralling costs as their cloud needs continue to evolve. This is just one of the reasons why, when it comes to transforming with cloud technologies, multi-cloud is proving itself to be the correct end game for businesses in all industries. So, why should businesses be targeting a multi-cloud strategy? Firstly, it means they can avoid vendor lock-in and reduce their dependence on a single provider. This has become a key concern for the majority of enterprises, especially those that have found themselves having to rely on traditional vendors that aren’t able to offer a complete cloud package. Rather than having to compromise, a multi-cloud approach enables businesses to leverage the best of every cloud platform available to them and run the right workload, in the right place, at the right time. It could also save significant sums of money. Customers are no longer at the mercy of a vendor’s decision to increase costs, with the freedom of choice that multi-cloud offers enabling them to maximise their ROI by choosing the most cost-efficient solution. This is clearly important for enterprises, as cost optimisation was seen as the biggest driver to adopting a multi-cloud setup, according to a recent survey. The beauty of multi-cloud is that it provides the flexibility to spin up whatever resources are needed to solve specific needs, thereby optimising the return on cloud investments. This is especially true given the improving economics of private cloud. According to a new report from 451 Research – Busting the myth of private cloud economics – private cloud service providers like Canonical are able to pass savings onto customers by spreading automation costs across multiple deployments, to offer a private cloud service that is as cost-efficient as many public platforms. Indeed, Canonical’s managed private cloud service BootStack was found to be cheaper than 25 other public cloud providers included in 451 Research’s Cloud Price Index. It was also found to offer significant total cost of ownership (TCO) benefits over public cloud for sustained long-term compute, network and storage. This means businesses that have long-term, steady compute requirements can run this privately and take advantage of the decreasing TCO of private cloud, while still having the flexibility to turn to the public cloud for any variable capacity needs. Finally, using a mix-and-match approach enables organisations to effectively leverage extended capabilities, as they can pick the best products to suit specific business needs. Different vendors will naturally innovate in slightly different areas, meaning businesses taking a multi-cloud approach can exploit developments as soon as they become available, rather than having to wait for their vendor to catch up. Canonical strongly believes that every institution today should have a plan to operate in a multi-cloud way. Private cloud services, such as Canonical’s BootStack offering, can now be a viable and cost-efficient component of an enterprise’s IT infrastructure. A multi-cloud approach enables businesses to maximise their investment, innovate freely and meet the needs of their customers. That’s why it simply has to be the go-to game plan for any enterprise looking to be a leader in its field. 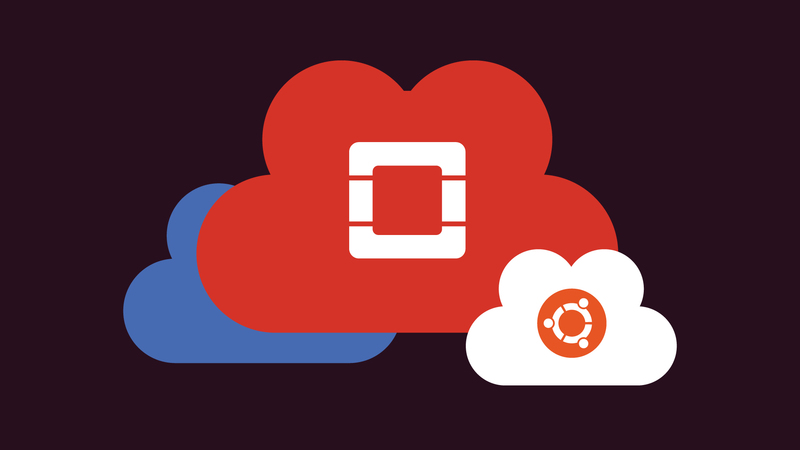 The post The enterprise deployment game-plan: why multi-cloud is the future appeared first on Ubuntu Blog.